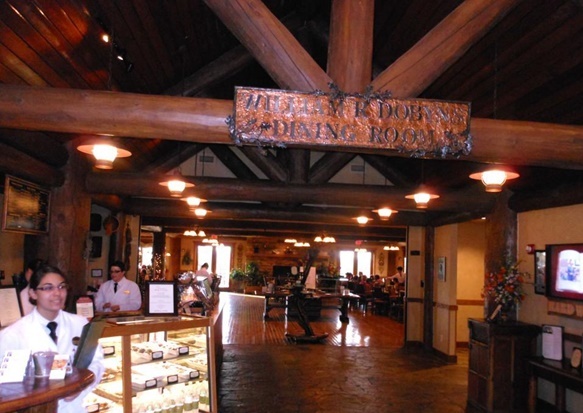 Dobyn’s Dining Room at the College of the Ozarks in Branson is a great dining place to try an unforgettable dining experience. The students at the “Hard Work U” as the college is known, serve guest the best dishes in the Ozarks that your family will surely be satisfied. Whether it’s intimate dinner for two, a casual family lunch or an elegant private dinner party for big group of guests, the culinary staff of students at Dobyn’s Dining Room will give you something satisfying for every taste. From Thursday through Saturday evenings, your dining experience at Dobyn’s Dining Room will be enhanced with entertainment by the college students. For some guests wishing to have sweet treats at anytime of day, this great dining place has a bakery that will satisfy any desire for desserts, homemade ice cream, pastries, and a variety of coffee and fruit drinks. Keeping with the tradition in the Ozarks, Dobyn’s at College of the Ozarks only serves the finest, freshest ingredients available which are mostly grown locally. The students of the college grow tomatoes, green beans, and other vegetables. Your dining experience at Dobyn’s Dining Room includes delicious food and quality service done by students. At Dobyn’s Dining Room, you’ll get to enjoy a leisurely Sunday Brunch in the rustic place of The Keeter Center overlooking the beautiful campus of the College of the Ozarks. The Farmhouse at the center offers full breakfast selections that include personalized omelets and waffles. The center also has a marketplace that features the Chef’s beautiful ice sculpture, domestic and imported cheese, hand-cut fresh seasonal fruits, crudités, and made-to-order Caesar salads. The Chef’s Table is abundant with creative culinary delights where you will find original seafood creations, carved award-winning College of the Ozarks smoked ham, and southern fried chicken. The College of the Ozarks earns numerous accolades every year that include the #1 Best Value College by “U.S. News & World Report” in the Midwest for 2015. To achieve its purpose, the college pursues vocational, academic, patriotic, Christian and cultural goals. These goals are reflected in School of the Ozarks, that begun in fall 2012 for high school students, and the S. Truett Cathy Lower School that offers K-sixth grade students in fall 2014. In fall 2015, the school added seventh and eighth grades, completing the K-college model. College of the Ozarks was a winner of the 2015 Certificate of Excellence Award from TripAdvisor. Beautifully located at the College of the Ozarks campus, the Keeter Center and Dobyn’s Dining Room restaurant also received the same prestigious award. TripAdvisor uses a proprietary algorithym in determining the honorees that take into account the frequency, quality, and quantity of reviews and opinions submitted by travelers on TripAdvisor over a 12-month period including business’ tenure and ranking on the Popularity Index on the site. The Dobyn’s Dining Room is a great dining place at the College of the Ozarks where the students serve an unforgettable dining experience with your family.